Thank you for attending the 2015 Dairy Science Showcase! 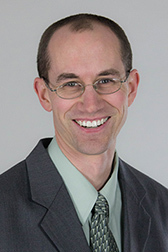 Kent Weigel – Professor of dairy genetics, focuses on international genetic comparisons, genotype by environment interactions, genetic evaluation of health and management traits, and strategies to control inbreeding. Lou Armentano – Professor of dairy nutrition, specializes in ruminant nutrition physiology, especially the role of liver metabolism and its relation to protein nutrition. Additionally, he researches whole animal energy metabolism and the utilization of high fiber by-products for dairy nutrition. 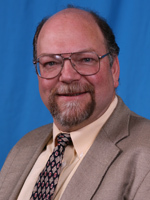 Randy Shaver – Professor of dairy nutrition, focuses on applied nutrition of lactating dairy cattle. His research aims at improving nutrient utilization of corn silage and corn grain and B-vitamin supplementation of dairy diets. 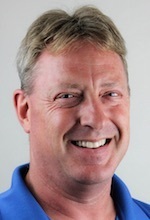 Matt Atkins – Dairy management specialist, is responsible for developing and conducting integrated and applied research and extension programs on dairy heifer management. In addition, he mentors graduate and undergraduate students that perform research on heifer nutrition. The University of Wisconsin-Madison’s Department of Dairy Science invites department alumni and stakeholders to attend its third annual Dairy Science Showcase on Tuesday, Nov. 3 from 10:00 a.m. to 3:30 p.m. at campus’ Dejope Hall. The Showcase, designed to highlight the department’s research, extension and instructional efforts, will kick-off with talks by faculty members on findings from the “Genomic Selection and Herd Management to Improve Feed Efficiency of the Dairy Industry” project. It will be followed by graduate student presentations on other current research initiatives. Participants also will have the opportunity to meet with master’s and doctoral students during a research poster session and help honor undergraduate scholarship recipients during a brief awards ceremony. The department is a major player in the $5 million National Institute of Food and Agriculture project that will deliver genomic predictions for residual feed intake (RFI) to the dairy industry. This trait will be used to select animals that digest feed and convert it to milk and body tissue more efficiently than their herdmates. Along with collaborators at Michigan State, Iowa State, Virginia Tech, Florida, USDA Agricultural Research Service, Wageningen University (Netherlands), and the Scottish Agricultural College, the researchers have measured individual dry matter intakes of roughly 6,000 Holstein cows to date. Results of the genetic, nutritional, and management aspects of this work will be presented. As a steward of public trust and private investment, the UW-Madison dairy science program is committed to providing cutting-edge, science-based knowledge for the industry and unparalleled training to students interested in pursuing careers in the field. The department’s goal is to improve the quality of milk and the efficiency and profitability of its production around the world. 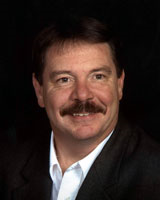 Ted Halbach by e-mail at tjhalbach@wisc.edu or phone at (608) 219-5289. Kent Weigel by email at kweigel@wisc.edu or phone at (608) 263-4321.